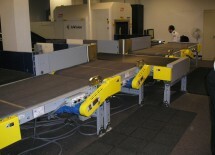 Floor-mounted conveyors are supported on formed 10 gauge steel channel leg assemblies. 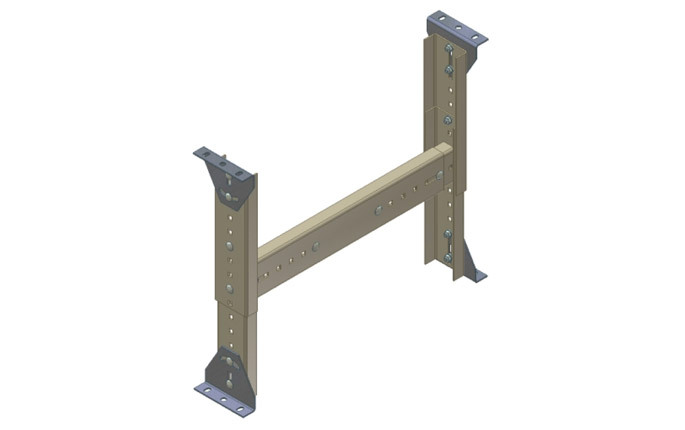 Each assembly is adjustable in height by means of slotted channels and galvanized brackets. Ceiling-mounted conveyors are supported by 3/4-10 all-thread rod and 1/4” x 3” x 3” steel angle.